WMS Aquatics Myrtha Pool Project located at Gold's Gym in Redmond, WA. This entire gym has been built inside the old Orowheat Bakery. 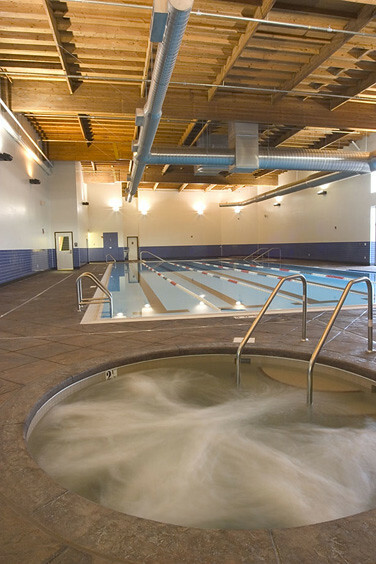 This was a design/build Myrtha project consists of a 5-lane lap pool, a therapy pool with safety-padded floor, an adult spa as well as a family spa. The two swimming pools include 32'x75' 5-lane lap pool at 4 ft. of depth, and a 16'x22' therapy pool with a resistance walker 4'-5' deep. The spas are 10’ and 8’ in diameter. These fiberglass spas are all-tile and epoxy grouted. They came shipped in one piece, pre-plumbed, and all WMS had to do was install. 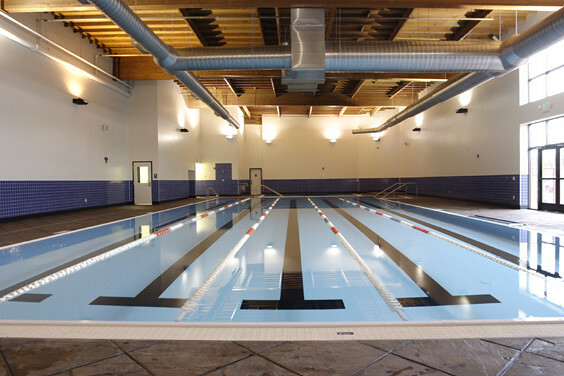 Used for all ages of swim lessons, master swimmers and aqua aerobic classes.